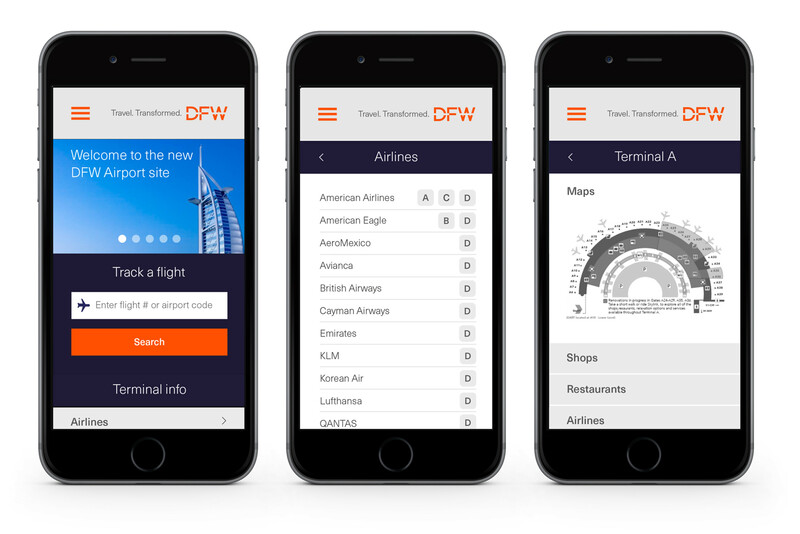 Dallas–Fort Worth airport went through a rebranding effort led by Interbrand-NY. 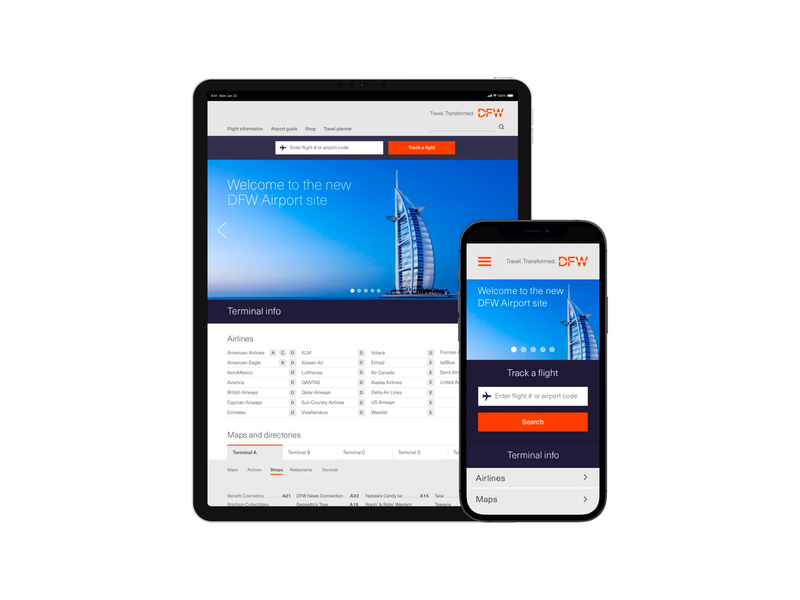 For the first phase of the launch, a new website homepage was needed to showcase the new brand identity that will be consistent with other branding touch-points. Interbrand's design team was working on the branding guidelines document of the new airport identity. As part of their final presentation, a high-fidelity sketch of the homepage was approved by the client. The task was to take the concept forward into a deployment ready responsive homepage.